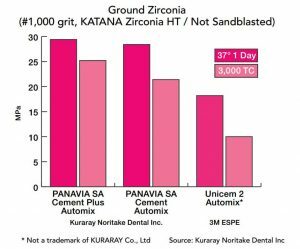 Home ⁄ Frequently Asked Questions ⁄ Can PANAVIA SA Cement Plus chemically bond to Zirconia? Yes. Multiple research studies over the past 20-years have shown that obtaining a strong, durable bond to zirconia can be difficult. PANAVIA SA Cement Plus, with its high concentration of MDP, bonds to Zirconia chemically as well as micro-mechanically, which provides you with additional strength and comfort. 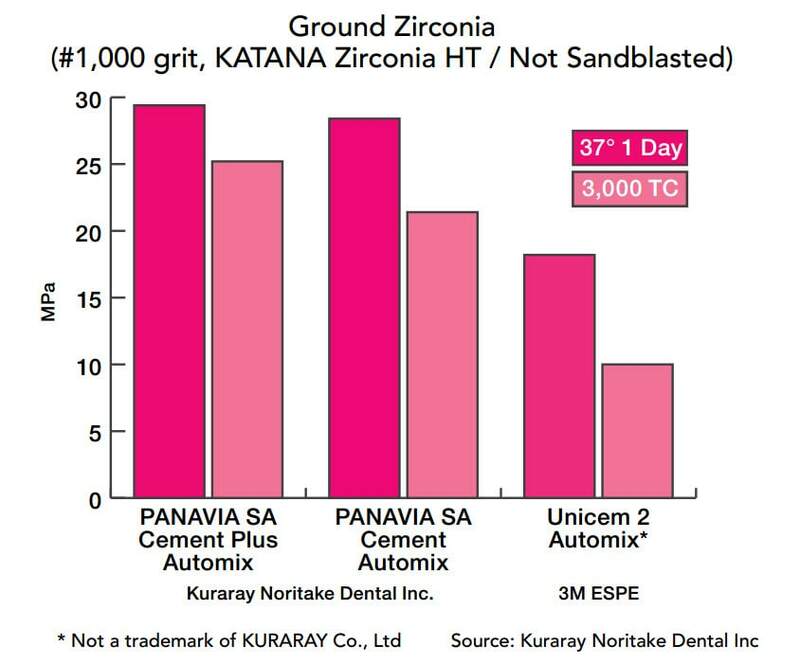 The graph below illustrates this point by showing the bond strength results if Zirconia NEW CATALYST CHEMISTRY PROVIDES: is only ground with #1,000 grit silcon carbide paper instead of sandblasting.